← Is a Changing China Good for Brazil? Argentina is barreling towards a judgment day on its outstanding international debt. If the issue is not resolved by July 30, the country could be forced into default. “So, what else is new?” I suspect many readers are muttering to themselves. This is part of the problem. The case is extremely complicated, living in rarefied air where high finance meets international law. It’s safe to say that certain New York lawyers have made a stupendous amount of money litigating this case. Meanwhile, in the court of public opinion no one can quite figure out what is going on and most just assume that the Argentine government is to blame. Outside of the Financial Times, which has followed the case in detail, few media outlets have comprehensively covered the issue, let alone contextualized it. A good example is a July 5 Economist editorial that spends most of its ink comparing Uruguayan footballer Luis Suárez to Argentina. Only about halfway through does the author gloss over the fact that in this particular case, Argentina may actually have a point. This article is not about why Luis Suárez biting people is like Argentina. Instead, it attempts to brief the reader on the origin of the debt, the nature of the holdouts, and the key judicial rulings. The post then considers the options Argentina has moving forward, as well as why the case has global implications. In 1989, Carlos Menem assumed the Presidency of Argentina as his country’s economy spiraled out of control. With inflation topping out at around 3,000 percent in 1991, Menem adopted an aggressive neoliberal economic strategy (a strategy, it’s worth noting, that he had not campaigned on during the election cycle), highlighted by the privatization of key firms such as the state oil company, Yacimientos Petrolíferso Fiscales. Menem and his Economic Minister Domingo Cavallo also introduced the Convertibility Plan, which legally pegged the value of one Argentine peso to one US dollar, which (for at least a few years) stopped inflation dead in its tracks. Devaluation was illegal and pesos were not to be issued for public consumption unless they were backed by dollar reserves or part of dollar exchanges. These reforms made Menem’s Argentina the darling of Washington and New York. 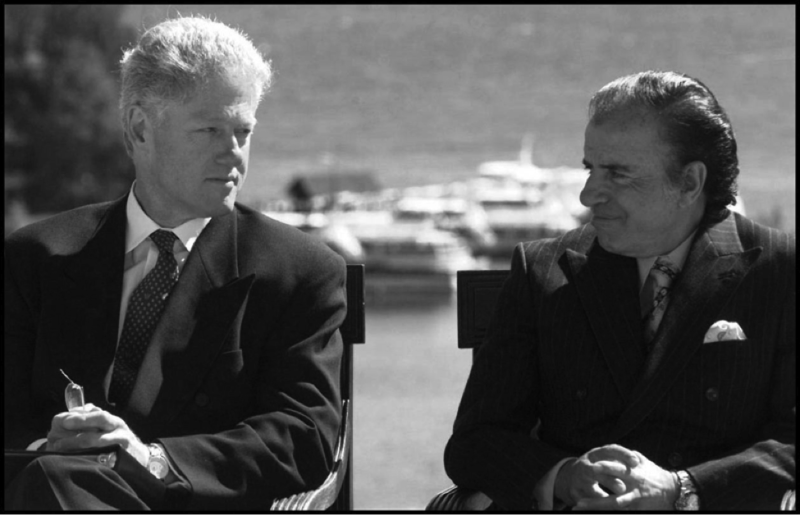 President Bill Clinton hosted his counterpart at the White House, and investment banks peddled Argentine bonds to investors around the world. These bonds were issued under New York law (as was much of emerging market debt at the time) and in US dollars—at the time representing an equal value in pesos, given the peg. But Argentina had no business being in a (self-imposed) monetary union with the United States, and the unsustainability of the plan was revealed by: 1) The Brazilian devaluation of 1999, 2) a strengthening American dollar, and 3) an Argentine recession. These trends, along with a declining appetite for emerging market investment pushed Argentina into persistent recession. By the turn of the century it became increasingly clear that Argentina could not produce one US dollar for every peso. On December 23, 2001, with Argentina in the thick of an economic, political and social crisis, President Adolfo Rodríguez Saá executed the largest sovereign default in history, walking away from more than US$80 billion in international debt. It was the only meaningful act of his seven day presidency. Unfortunately for dead beats around the world, defaulting does not make your debt disappear. When countries are unable to meet their obligations, debt restructuring (the renegotiation of the terms of the debt) is a crucial mechanism for facilitating a country’s return to normalcy. In reality, restructuring tends to mean that creditors agree to take a “haircut” on the value of the debt they own. Creditors realize that they will not receive 100 percent of what they are owed, so they accept to receive, say, 40 percent, because 40 percent is preferable to 0 percent. Between 2005 and 2010, Argentina offered bondholders swaps that initially paid around 30 cents on the dollar. These coupons were packaged with GDP warrants that ensured that if Argentina grew, so too would the payout on its restructured debt. As the Argentine economy expanded over much of the last decade, these coupons have increased in value—perhaps reaching as much as 50 cents on the dollar. Holders of about 93 percent of the securities accepted the exchange and Argentina has serviced this restructured debt without interruption since 2005. In other words, Argentine has been paying its debt: Since 2003, Argentina has paid over US$190 billion in principal and interest. The initial bonds that Argentina issued—the ones that clearly could not be paid in the wake of the crisis—still physically existed. They could still be bought and sold. Only, of course, the market value was far less than the nominal value. Here is where the vulture funds come in. Precisely as the market value for pre-2001 Argentine bonds plummeted, certain hedge funds swooped in to buy them en mass with the explicit intent of 1) refusing the restructuring agreements that nearly 93 percent of holders would accept and 2)demanding payment of full face value of the bonds, even if it took years of fighting in court. In other words, without every really investing in Argentina (because in many cases they bought the bonds second hand from other investors), the holdout funds demanded what the Argentine government estimates as a 1600 percent profit. The holdouts draw the ire of Argentines because they do not consist of individuals or funds that bought Argentine bonds on good faith. Rather, the holdouts consist of firms and funds that bought the bonds after Argentina’s financial crisis, after the market price of the bonds plummeted, with the explicit intent of taking Argentina to court to demand full face value, regardless of how long and how expensive that process would be. 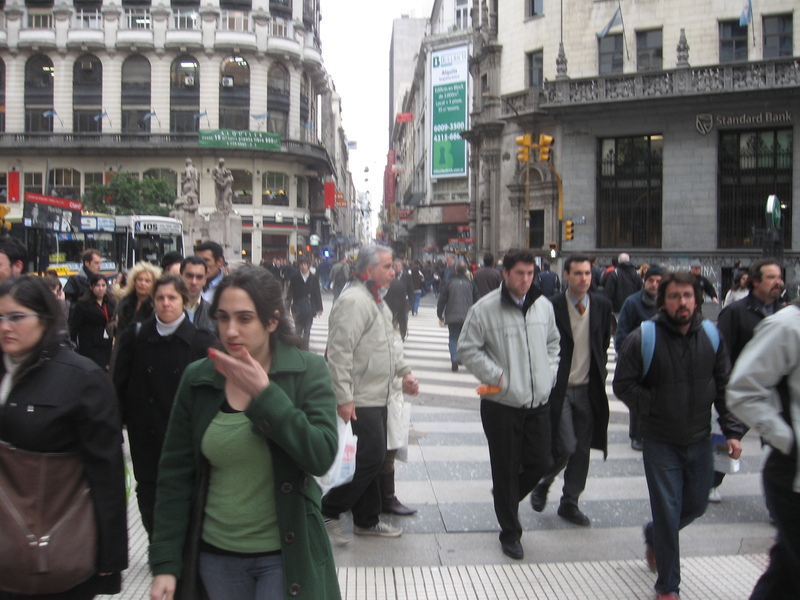 Eleven years after the initial Argentine default, the holdouts’ strategy paid off. A 2012 New York Second Circuit Court ruled in favor of the holdouts and demanded that Argentina pay full value plus interest on the outstanding bonds. Judge Thomas Griesa put teeth into his decision with an unusual interpretation of the pari passu (equal rate) clause. According to the ruling, servicing the restructured debt (again, about 93 per cent of the total) without paying the holdouts would imply subordination of the latter group. Judge Griesa consequently declared any further payment on restructured debt, without honoring debt held by the holdouts, illegal. In other words, remember that debt that Argentina has been paying in full and on schedule? Due to this ruling, they can no longer continue to pay this unless they also pay the holdouts at a significantly higher rate. 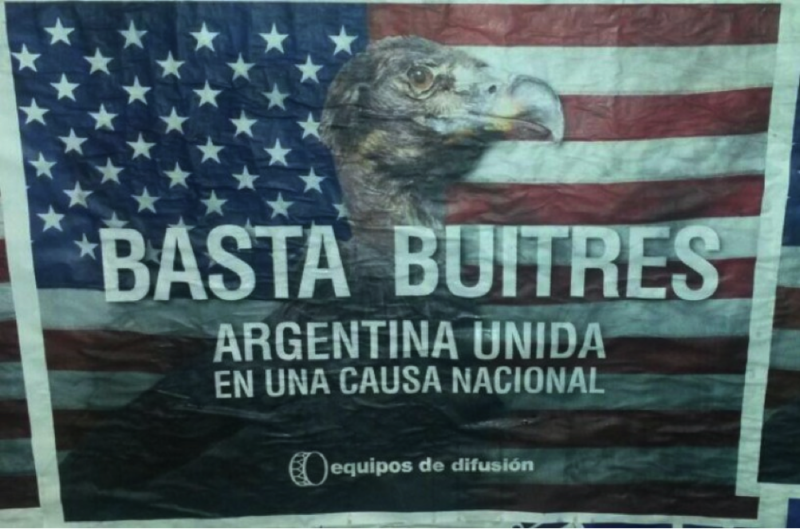 Argentina appealed the decision to the US Supreme Court, but on June 16 the court announced that they would not hear the case. This put Argentina on the hot seat, as their next round of interest payments on the restructured debt was due on June 30. The country legally could not pay just the restructured debt, and has since entered into technical default with a 30 day grace period. Argentina has until July 30 to either resume payments to everyone, including the holdouts, or to default for the second time in 13 years. It would seem that Argentina has four options: Pay everyone, pay no one, reach an agreement with the holdouts, or try to pull off something whacky. None of these options is particularly appealing. 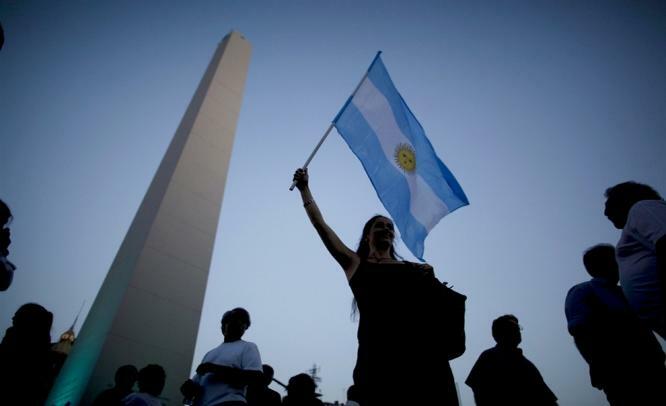 If Argentina pays everyone:First of all, the country would face solvency issues. The holdouts estimate that Argentina would owe an additional US$7.5 billion. The Argentine government estimates that it would owe an additional US$15 billion. Either way, it would be a tall order for a country with, at best, roughly US$30 billion total in international reserves. But Argentina’s fear is that this US$7.5 billion would just be the beginning. Buenos Aires has professed concern that paying the hold outs could trigger the Rights Upon Future Offers (RUFO) clause written into the restructured debt. This clause entitles those that accepted a haircut “equal treatment” should Argentina voluntarily agree to pay holdouts at a better rate. If Argentina follows Judge Griesa’s ruling to pay holdouts in full, would the courts interrupt this as “voluntary”? If the holders of the restructured debt were successful in making this argument, it could put Argentina on the hook for roughly half a trillion dollars. A general default would lock the country out of US financial markets for years at a time when it is seeking fresh international credit to fund development of its vast shale gas reserves. Trade finance would probably shrink. The economy is also fragile and a general default, the second in 15 years, could precipitate a full-blown crisis. If Argentina works out a deal: This is the most likely outcome, and what was probably discussed when Argentine Finance Minister Axel Kicillof met a court-appointed mediator in New York on July 7. For example, the rumor that Buenos Aires was preparing to pay the holdouts in the form of new bonds led a rally on Argentine securities. Under this scenario, Argentina would likely avoid default, and would likely secure a payment strategy that would not trigger RUFO clauses as payments would postponed until after the RUFO clauses expire in January 2015. The holdouts would also be rewarded handsomely for their troubles. If Argentina can pull off a caper: While unlikely, there is a chance that Argentina has a trick up its sleeve. Buenos Aires wants to pay the holders of restructured debt. Holders of restructured debt want to get paid. The only reason Argentina cannot pay is because the restructured debt is issued under New York law, and thus New York banks legally cannot process the payments. But local Argentine banks could. It could be a bluff, and it is apparently unlikely to work, but there has been grumblings that Argentina could offer a swap in which holders of restructured debt trade New York issued securities for securities issued under Argentina law. This actually brings up a bizarre side effect of this case. Typically emerging market bonds listed through New York are more valuable because New York law is considered a safer investment than emerging market domestic law. As of June 18, however, Buenos Aires-issued debt was more expensive than Argentine debt issued under New York law precisely because the BA debt can be paid while all New York debt payments have been frozen. What does it mean for the world? Legal systems often rely on precedent, and Judge Griesa’s decision could set a dangerous one. If holders of stressed sovereign bonds believe they may eventually cash in the securities at face value, the incentive to accept a haircut diminishes. Judge Griesa’s critics allege that the ruling undercuts the financial community’s most trusted strategies for managing a structured default. Since 2005, international sovereign debt issued in New York has regularly contained collective action clauses, which allow a qualified majority of bondholders to accept a write-down for all bondholders—thus limiting the influence of minority holdouts. But why would lenders accept a swap at market value if they think they can hold out for face value. As economists such as Nouriel Roubini and José Antonio Ocampo have argued, the potential of a full payoff will diffuse enthusiasm for exercising the collective action clauses. This could have immediate reverberations in Europe, where the eurozone’s survival may depend on haircuts to the sovereign debt of peripheral countries. For example, IMF support to Greece is contingent upon reduced debt-to-GDP ratios. 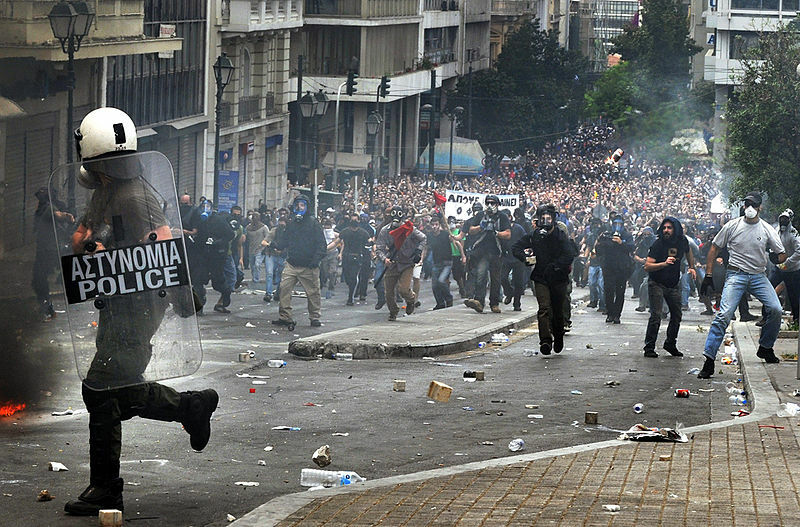 Greece, in turn, has sought to meet this requirement in part through bond buybacks, offering 34 cents on the euro. To avoid triggering credit default swaps, Greece has pursued such haircuts on a “voluntary” basis. As in Argentina, Greece’s ability to end the debt crisis will depend on bondholders’ willingness to accept the write-downs—something they may now be less inclined to do. Lost amid the negative coverage of the Argentine government is the fact that it has consistently serviced the restructured debt. Moving beyond this debt saga is a crucial step that Argentina must take to re-enter global financial markets. The country has been roundly criticized for manipulating economic data, cooking the books, and generally for exercising a heavy hand on the country’s finances. Part of this is poor governance. But part of it is also due to Argentina’s inability to access international credit. Because the government cannot finance a significant deficit, Buenos Aires has overvalued the domestic currency while implementing capital controls and limiting imports. The Argentine central bank has exhausted a significant portion of its reserves by defending the overvalued peso. When these reserves hit a seven-year low in January, the central bank could no longer afford to intervene as strongly, and the currency was allowed to plunge nearly 13 per cent over two days. This is not to absolve Argentina from culpability in its current macroeconomic struggles. But is it to say that Argentina will never be able to overcome these struggles unless it can once again become a member of global credit markets. Y ahora me lo venís a decir? This entry was posted in Southern Cone, Uncategorized and tagged Argentina, argentina pays, Axel Kicillof, carlos menem, Debt, Debt Crisis, fundos buitres, Judge griesa, thomas griesa, vulture funds. Bookmark the permalink. Step 3: Sue before a nitpicker of a judge, saying that by the letter of the law and the bond docs, Argentina can’t pay the new bonds unless they pay off the old bonds. I’m not sure what the judge’s true motivation is here, but he sides in strongest possible terms for the letter of the law, and creating a clusterf**ck that seems rather unjust, since it makes Argentina and the bondholders who exchanged in good faith worse off, makes the holdouts better off, and will make it impossible to do a sovereign bond restructuring in the future. Step 4: Profit! If the new bonds go down by 50% because of the threat of default, the hedge fund makes $1b in the CDS auction. Or, tell Argentina, pay us $2b to redeem the old bonds and go away. Either way, we win! It’s a silly game, and frankly, an argument for ending the moral hazard of sovereign CDS. A great condensed version of what’s going on with the Argentine debt crisis. Pablo: You are correct, of course, and the article has been updated to reflects this. Thanks for bringing this to our attention. Many thanks for your review of the Argentine economy, it was very interesting and show pleasing.